I'm leaving this video here, anywhere else it's going to be wasted. Kluczewo, Poland. 1992. 159th ‘Red Banner of Novorossiysk’ Guards Fighter Aviation Regiment. Those planes back then were the best (literally) in the whole world. I remember those days reading about them with fascination, the best warplane of the 90s imo. medo wrote: So, now it becomes more clear. from initial order for 36 Su-27SM3 only 6 will be modernized. This mean, that there is no need for 20 Su-30M2 trainers for Su-27SM jets. For two Su-27SM regiments they need 8 Su-30M2 (2x4) and the rest 12 Su-30M2 could form combat squadron for regiment in Krymsk, which could have two squadrons. One squadron of 12 new build Su-27SM3 for air defense duties and one squadron of new build Su-30M2 for strike duties. They could equip those Su-30M2 with Hibiny ECM pods and T220 targeting pod and get very potent strike platform against ground and naval targets to operate over Caucasus region and over eastern Black Sea. I'm not sure, why would RuAF sent some Su-27SM3 to Kaliningrad, when NAVY already equip their squadron with Su-30SM. I more see a job for those 6 or 8 extra Su-27SM3 in Hmeimim in Syria after war. Planes could be constantly there, only pilots and personal could rotate. RuAF still have some number of standard Su-27 and Su-27UB jets, which will slowlly be replaced by newer Su-35. I wonder, if they could overhaul some of them and upgrade with Gefest SVP-24 like they did with Su-33. Russia will sooner or later recognize Novorussia (DNR and LNR) and they will sooner or later create their air force and a squadron or two of upgraded Su-27 and maybe Su-24M2 would be good start for them. Su-30M2 are stationed mainly in South district because in South district are the training centers and also because the squadrons are new. Temporally are used for "training" of new squadrons. In Vladivostok are also used for "training" asiatic pilots. The Su-30M2 are attached there for training of new pilots, are not a "third combat squadron"
KiloGolf wrote: I'm leaving this video here, anywhere else it's going to be wasted. What happened to the aerobatic team's Su-27 replaced by Su-30 ? They have been used more often than normal su-27 so they are more likely to be retired but they are still combat ready. I would suspect they would have been heavily used for constant training and displays and probably got a lot more hours than operational birds. 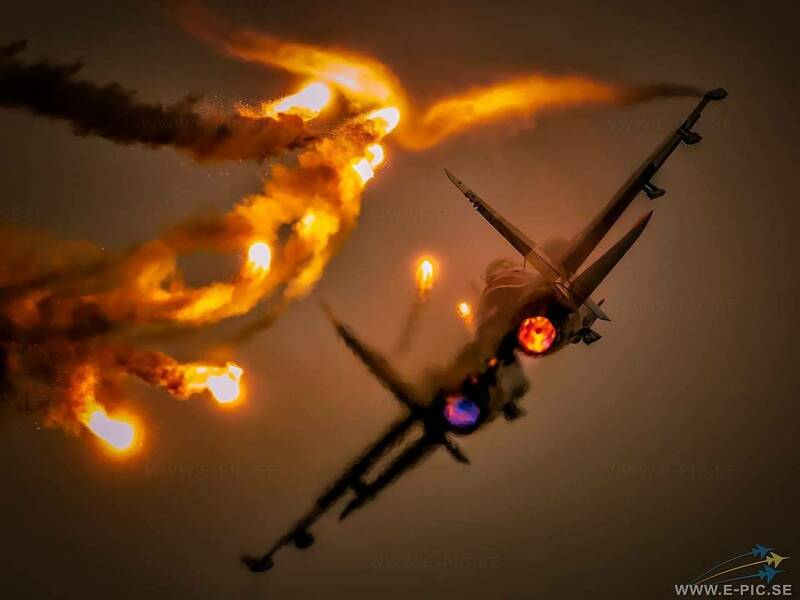 Isos wrote: What happened to the aerobatic team's Su-27 replaced by Su-30 ? They have been used more often than normal su-27 so they are more likely to be retired but they are still combat ready. In theory the other half of the team should be replaced for Su-35 , but there are not news about that, the only news are about new MiG-35 for replace several MiG-29 next year. Ростов-на-Дону. 30 октября. ИНТЕРФАКС-ЮГ - Модернизированные истребители поколения "4++" Су-27СМ3 поступили на вооружение смешанного авиационного соединения Южного военного округа на Кубани, сообщили агентству "Интерфакс" в пресс-службе ЮВО. "Самолеты совершили перелет с авиационного завода в г. Комсомольск-на-Амуре Хабаровского края, преодолев около 10 тыс. км с двумя промежуточными посадками на дозаправку на аэродромах в Новосибирской и Челябинской областях", - говорится в сообщении. Отмечается, что поступившие самолеты являются глубоко модернизированными многоцелевыми реактивными истребителями с более мощным двигателем, увеличенной маневренностью и дальностью полета. Точное количество поступившей техники в пресс-службе не уточнили. Всего с начала года в соответствии с планом переоснащения войск ЮВО авиационные соединения и воинские части получили около 15 единиц авиационной техники, в том числе военно-транспортные самолеты Ан-148-100. 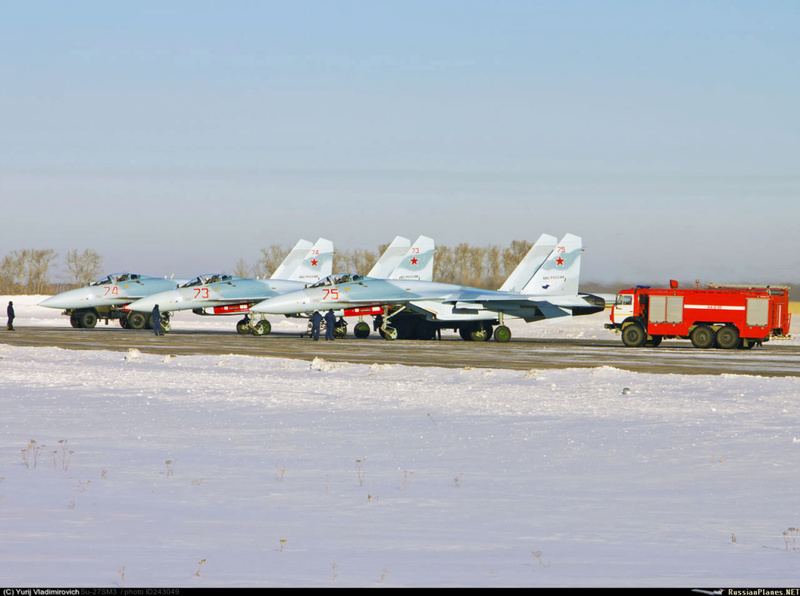 RuAF receive another batch of Su-27SM3 fighters in Krymsk airbase regiment. It seems they received around 5 fighters. Could be 4 or 5 or 6 as they now received around 15 planes in South military districht. Few days ago they said they received around 10 planes. Москва. 24 октября. ИНТЕРФАКС - Армейская авиация Южного военного округа (ЮВО) пополнилась новым вертолетом, сообщил в среду начальник пресс-службы округа полковник Вадим Астафьев. "На вооружение соединения армейской авиации 4-й армии ВВС и ПВО Южного военного округа, дислоцированного в Ростовской области, поступил новейший транспортно-штурмовой вертолет Ми-8 АМТШ "Терминатор"", - уточнил В.Астафьев. Вертолет Ми-8 АМТШ, по его данным, разработан на базе многоцелевого вертолета Ми-8АМТ. "Благодаря радиолокационному оборудованию и мощному вооружению, эта транспортная машина фактически превращена в штурмовую", - сказал начальник пресс-службы ЮВО. Вертолёт оснащён пулемётом, прикрывающим тыл, а с помощью управляемых ракет способен уничтожать цели на земле и в воздухе. Летный и инженерно-технический состав соединения прошел плановое переучивание на новые образцы авиационной техники и теперь полностью готов к освоению и эксплуатации новых вертолетов, поступающих в ЮВО, сообщили в пресс-службе. Всего с начала года в соответствии с планом переоснащения войск ЮВО авиационные соединения и воинские части ЮВО в рамках гособоронзаказа получили около 10 единиц авиационной техники, в том числе самолеты Су-25СМ3, а так же военно-транспортные самолеты Ан-148-100, сказал В.Астафьев. It looks like they have now two squadrons of Su-27SM3. Is that new upgrades of old planes or re-allocation as other units receive Su-30/35? hoom wrote: Is that new upgrades of old planes or re-allocation as other units receive Su-30/35? They are newly modernized in KNAAZ from where they fly to Krymsk. I hope they will replace Su-30M2 in Vladivostok with Su-30SM and send them to Krymsk to form the third squadron with Su-30M2. Equipping them with Hibiny and T220 pods they will get good fighter-bombers, while Su-27SM3 will be multirole air defense fighters. More upgraded Su-27SM3 arrive at Krymsk. 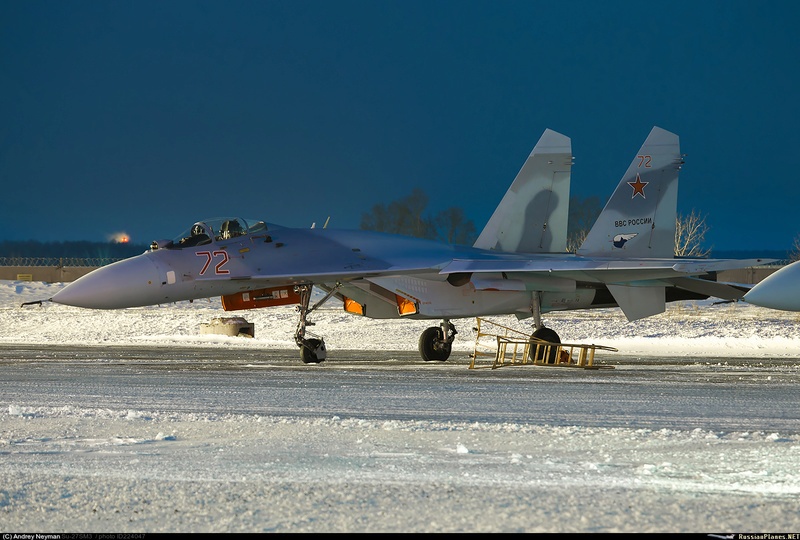 As the head of the press service of the Southern Military District, Vadim Astafyev, said on November 17, 2018, the fighter aviation of the Southern Military District was replenished with the link of the newest modernized Su-27SM3 aircraft. 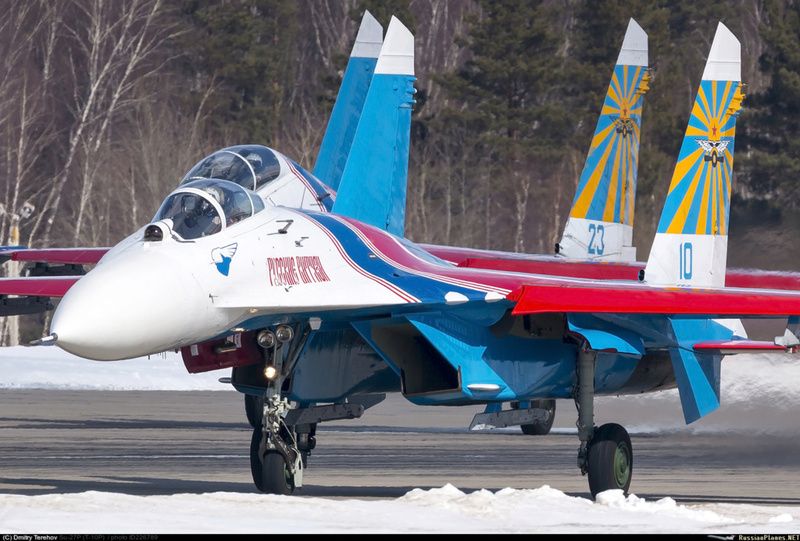 “Three modernized fighters of the Su-27SM3 generation have arrived at the mixed aviation unit of the 4th Army of the Air Force deployed in the Krasnodar Territory,” Astafyev said. The combat aircraft link successfully made a flight from Komsomolsk-on-Amur of the Khabarovsk Territory, overcoming about 10 thousand km with two intermediate landings for refueling at airfields in the Novosibirsk and Chelyabinsk regions. Comment bmpd. Judging by the video reports on this event, we are talking about admission to the 3rd mixed aviation regiment of the 1st mixed aviation division of the 4th Army of the Air Force and Air Defense of the Southern Military District stationed at the Krymsk airfield (Krasnodar Territory) 27CM (3) with red side numbers "76", "77" and "78" Airplanes that have been upgraded from Su-27 fighters at the Komsomolsk-on-Amur Aviation Plant named after Yu.A. Gagarin (KnAAZ; branch of PJSC "Company" Sukhoi "), became the first modernized Su-27SM (3), commissioned in 2018. Recall that the Su-27SM(3) is the most advanced version of the modernization of combatant Su-27 fighters, adopted by the Air Force of Russia. Two prototypes of the Su-27SM(3) were upgraded at KnAAPO (KnAAZ) in 2008-2010 to conduct tests from the previously upgraded Su-27SM fighters (serial numbers 38001 and 38002). In August 2009, during the MAKS-2009 air show, the Sukhoi Company entered into a contract to supply the Russian Ministry of Defense with 12 fighters built in the guise of the Su-27SM(3), built at KnAAZ in 2010-2011 (the aircraft were completed from the reserve People's Republic of China machine sets of Su-27SK fighters). All these 12 Su-27SM (3) airplanes with red tail numbers from "51" to "62" entered the Krymsk airfield as part of the 1st aviation group of the 6972th aviation base, from December 1, 2013 the air group was reorganized into 3 th Mixed Aviation Regiment (later the Su-27SM (3) aircraft regiment with the tail number "60" changed the number to "65 red"). Then, the Russian Aerospace Forces attempted to implement a modernization program for the Su-27SM(3) variant of the Su-27 combat fighter jet fleet. In August 2012, two Su-27P fighter jets (serial numbers 36309 and 36411) arrived at KnAAZ for pilot modernization, which were completed to the level of Su-27SM(3) by early 2014. In May 2014, both of these fighters (which received the red side numbers "63" and "64") also entered the 3rd mixed aviation regiment in Krymsk. It was reported that the results of the operation of these “pilot” upgraded airbags 36309 and 36411 "were generally positively evaluated", and on April 16, 2015, Sukhoi reached a preliminary agreement with the Russian Ministry of Defense on the modernization of 36 Su-27S (P) combat aircraft in the variant Su-27SM (3) in the period 2016-2020. At the same time, the assigned resource (after modernization) of the aircraft being modernized was to be 2000 hours, and the calendar resource (from the date of production) was to be 30 years with a phased extension to 40 years. Presumably, the Su-27SM(3) fighters upgraded under the contract of 2015 were supposed to arrive to re-equip the second squadron of the 3rd mixed aviation regiment (12 airplanes), and also to re-equip the 38th fighter aviation the regiment of the 27th mixed aviation division of the 4th Army of the Air Force and Air Defense (24 aircraft). As part of the implementation of this agreement, in May 2015, four Su-27S fighters from the same 3rd Mixed Aviation Regiment (serial numbers 34102, 36412, 36413 and 36514) were delivered to KnAAZ for modernization, and at least six more -27 (estimated serial numbers 33103, 33205, 33206, 33309, 33411 and 33513) were later transferred to KnAAZ from storage for upgrades. However, in the future, the modernization program for Su-27 combat aircraft under the Su-27SM (3) variant was revised and, apparently, drastically reduced. According to known data, the new shipments of aircraft to KnAAZ for modernization were not carried out, and the modernization of the four first sides of the 3rd Regiment (the indicated estimated serial numbers 34102, 36412, 36514 and 36413) stretched for two and a half years and was completed only by the end of 2017. As a result, only in December 2017, KnAAZ delivered the four first Su-27SM(3) fighters, which underwent modernization at the enterprise according to the Su-27SM(3) option by agreement in 2015 with the Russian Ministry of Defense. The first two of these delivered modernized fighter aircraft - aircraft with red side numbers "68" and "69" (serial numbers 36514 and 36413) - flew from Komsomolsk-on-Amur to Krymsk on December 28, 2017, and the other two with red side numbers "67" and "72" (serial numbers 34102 and 36412) - flew to Krymsk in January 2018. Now three more modernized Su-27SM(3) fighters with red tail numbers "76", "77" and "78" are delivered to KnAAZ. It should be noted that according to previously reported information, these three fighters actually arrived in Krymsk on October 30, 2018. The future prospects of the Su-27SM(3) program remain uncertain, although, apparently, at KnAAZ, work will be completed on upgrading at least three more aircraft with this goal in order to fully equip the second squadron of the 3rd mixed regiment in Krymsk with this type. It seems these are the jets we read about in late October, but we didn't see any picture. What exactly is the difference in air to air capability between Su 30SM, Su30M2, and Su27SM? calripson wrote: What exactly is the difference in air to air capability between Su 30SM, Su30M2, and Su27SM? 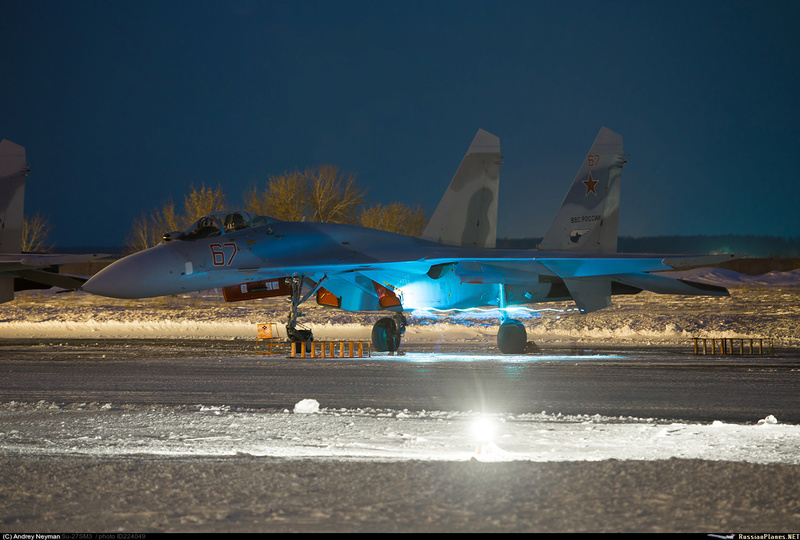 According to the spotters, on December 26, 2018, at the Novosibirsk Tolmachevo Airport, during an interception landing during the haul to the European part of Russia, the next three Su-27SM (3) fighter aircraft of the Russian Air Force were upgraded to this version of the Komsomolsk-on-Amur aircraft factory Yu.A. Gagarin (KnAAZ; branch of PJSC "Company" Sukhoi "). The aircraft have red side numbers" 73 "," 74 "and" 75 ". Presumably, these fighters are sent to the 3rd mixed aviation regiment of the 1st mixed aviation division of the 4th Army of the Air Force and Air Defense of the Southern Military District, stationed at the Krymsk airfield (Krasnodar Territory), previously in 2014 received nine modernized Sukhoi fighters 27SM(3). Receiving these three aircraft will allow the Su-27SM(3) fighter to complete the second squadron of the 3rd mixed air regiment to its full strength - 12 units (the first squadron of the regiment is equipped with Su-27SM(3) fighters). Recall that the Su-27SM(3) is the most advanced serial version of the modernization of Su-27 fighters, adopted by the VKS of Russia. Two prototypes of the Su-27SM(3) were upgraded at KnAAPO (KnAAZ) in 2008-2010 to conduct tests from the previously upgraded Su-27SM fighter jets (serial numbers 38001 and 38002). In August 2009, during the MAKS-2009 air show, the Sukhoi Company entered into a contract to supply the Russian Ministry of Defense with 12 fighter aircraft built in the guise of the Su-27SM(3) built at KnAAZ in 2010-2011 (the planes were completed from People's Republic of China machine sets of Su-27SK fighters). All these 12 Su-27SM(3) airplanes with red tail numbers from "51" to "62" arrived at the Krymsk airfield as part of the 1st aviation group of the 6972th aviation base, from December 1, 2013 the air group was reorganized into 3 th mixed aviation regiment (later a Su-27SM aircraft (3) a regiment with a tail number "60" changed the number to "65 red"). Then, the Russian Aerospace Forces attempted to implement a modernization program for the Su-27SM variant (3) of the Su-27 combat fighters fleet. In August 2012, two Su-27P fighters (serial numbers 36309 and 36411) arrived at KnAAZ for pilot modernization, which were completed to the level of Su-27SM (3) by early 2014. In May 2014, both of these fighters (which received the red side numbers "63" and "64") also entered the 3rd mixed aviation regiment in Krymsk. It was reported that the results of the operation of these "pilot" modernized airplanes 36309 and 36411 "were generally positively evaluated", and on April 16, 2015, Sukhoi reached a preliminary agreement with the Russian Ministry of Defense on the modernization of 36 Su-27S(P) combat aircraft in the version of the Su-27SM(3) in the period 2016-2020. At the same time, the assigned resource (after modernization) of the aircraft being upgraded was to be 2000 hours, and the calendar resource (from the date of production) was to be 30 years with a phased extension to 40 years. Presumably, the Su-27SM(3) fighters upgraded under the contract of 2015 were supposed to arrive to re-equip the second squadron of the 3rd mixed aviation regiment (12 aircraft), as well as to re-equip the 38th fighter aviation, formed in 2014 in the Crimea at the Belbek airfield the regiment of the 27th mixed aviation division of the 4th Army of the Air Force and Air Defense (24 aircraft). As part of the implementation of this agreement, in May 2015, four Su-27S fighters from the same 3rd Mixed Aviation Regiment (serial numbers 34102, 36412, 36413 and 36514) were delivered to KnAAZ for modernization, and at least six Su-27 (estimated serial numbers 33103, 33205, 33206, 33309, 33411 and 33513) for upgrading were later transported to KnAAZ from storage. However, in the future, the modernization program for Su-27 combat aircraft under the Su-27SM(3) option was revised and, apparently, drastically reduced. According to known data, the new shipments of aircraft to KnAAZ for modernization were not carried out, and the modernization of the four first sides of the 3rd Regiment (the indicated estimated serial numbers 34102, 36412, 36514 and 36413) stretched for two and a half years and was completed only by the end of 2017. As a result, only in December 2017, KnAAZ delivered the first four Su-27SM(3) fighters, which underwent modernization at the enterprise according to the Su-27SM(3) option by agreement in 2015 with the Russian Ministry of Defense. The first two of these are handed over.